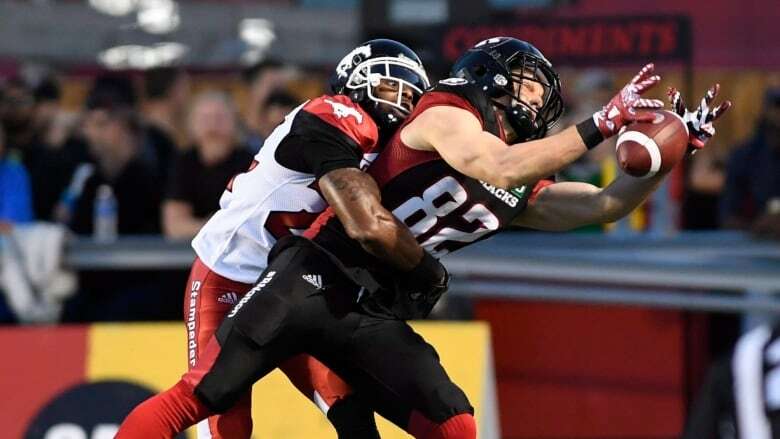 The Ottawa Redblacks say wide receiver Greg Ellingson was charged with failing to provide a breath sample Friday morning. Ottawa Redblacks wide receiver Greg Ellingson has been charged with failing to provide a breath sample. Ottawa police said the athlete was arrested at 2:37 a.m. Friday near Kirkwood and Carling avenues while officers were conducting a RIDE program. Ellingson will not be participating in team activities until further notice, the CFL team said in a press release. The Ottawa Sports and Entertainment Group and the Ottawa Redblacks said they are looking into the incident. The 29-year-old from Florida just finished his fourth season in Ottawa with a loss in Sunday's Grey Cup. He was named a league all-star in 2017.